Charity Pierson is a southern-bred monster hunter, made of equal parts sugar, sass, and Southern Comfort. Trouble has a way of finding her, even when she’s not looking. In this exciting prequel short story to SWEET CHERRY PIE, Charity finds herself on the hunt for a family of ghouls terrorizing a small town in Alabama. However, Charity quickly learns that the locals may be more of a threat than the restless undead. 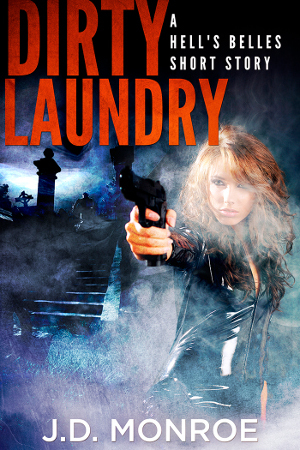 Take a wild ride into the night with Charity Pierson in DIRTY LAUNDRY. Buy it on Amazon for just 99 cents, or get your free copy through Instafreebie!